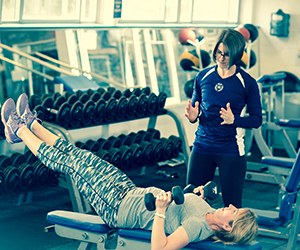 Whether you are seeking a total body transformation or just want to take some steps towards better health and well-being, personal training sessions at Ellis Athletic Center can help guide you through your fitness journey. 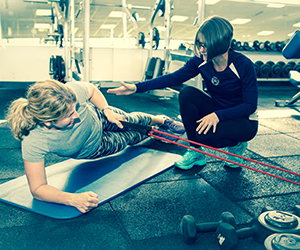 Our personal trainers work alongside you to develop unique physical fitness programs, tailored to your individual needs and goals and guaranteed to help you realize the positive benefits of exercise. 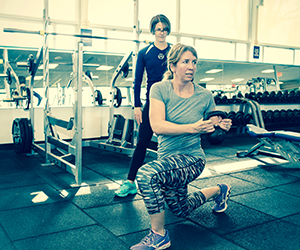 Our trainers know how to find the right exercises, intensity, and duration to help you succeed in your next workout. No matter what type of workout you prefer to do, personal training services will develop a program that’s perfect for you. Our trainers often combine elements of aerobics, cardio training, strength, flexibility, functional training and even low impact routines to help keep you motivated and interested. You’ll never get bored with your workout when you have a personal trainer keeping you accountable and motivated! Our personal training services are great for seniors, too. We can help you modify various exercises and machines to create a low-impact routine that’s ideal for keeping your muscles and joints strong and helping you avoid injuries. 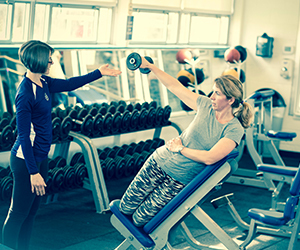 We offer all new members a complimentary assessment and one free hour of personal training! Call today to schedule your complimentary assessment and the first hour of personal training at Ellis Athletic Center! For additional information about personal training packages and applicable fees, get in touch with our team.